On November 30, 2017, the Thomas More Society filed a taxpayer lawsuit against State of Illinois officials in a counter attack against House Bill 40, which requires public funding of tens of thousands of elective abortions. 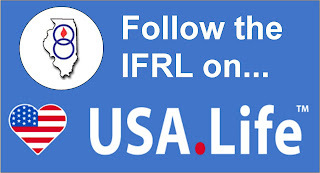 The taxpayer lawsuit, filed in the Sangamon County Circuit Court, is brought on behalf of hundreds of thousands of Illinois taxpayers, represented by county and statewide pro-life organizations including the Illinois Federation for Right to Life and it's many affiliates was dismissed by Associate Circuit Judge Jennifer Ascher. A notice of appeal was entered on January 2nd, in the 4th Appelate Court. 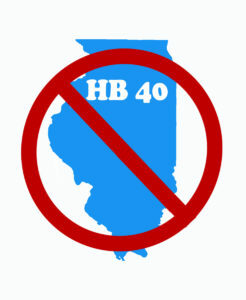 HB 40 would force every Illinoisan to pay for free abortions for those on Medicaid and state employee health insurance. This would apply through the full nine months of pregnancy and for any reason, even when the latest scientific research has shown that the unborn child can feel pain and survive outside the womb. The Thomas More society is a not for profit national public interest law firm dedicated to restoring respect in law for life, family, and religious freedom. The Thomas More Society is based in Chicago. Please consider helping the Thomas More Society with your financial support.